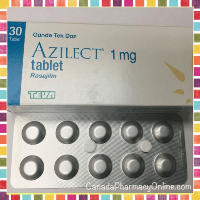 Our latest version of generic Cialis (Tadalafil) 20 mg also called PMS-Tadalafil is now available through our Canadian Dispensing Pharmacy. PMS-Tadalafil is manufactured in Canada by Pharma Science. It is available in different quantities of 28, 56, and 88 tablets. 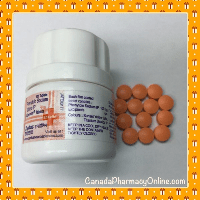 Canada Pharmacy Online currently offers two generic versions of Lamictal from Canada and the United Kingdom. 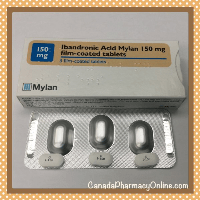 Lamotrigine is manufactured by Mylan in Canada and also is manufactured by Accord in the UK. 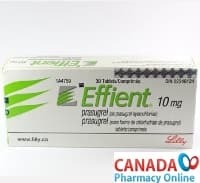 Effient is a brand name prescription used to treat blood clot and prevent heart failure in the future. It is manufactured by Lilly in Canada, Turkey, and UK. It is only available in the strength of 10 mg.
Epipen (Epinephrine) is a very popular first-line treatment for allergic relations including insect stings, food, drug allergies. It is also used to treat exercise-induced anaphylaxis. 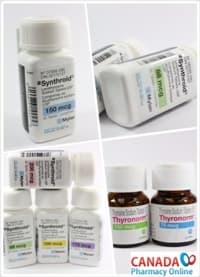 Synthroid (Levothyroxine Sodium) was the most prescribed medication in the United States used to treat an underactive thyroid (hypothyroidism). It is man-made thyroid hormone that is also used to help restore thyroid hormone balance. The Campaign for Personal Prescription Importation would like your thoughts on the importance of ordering prescription medications from legitimate online pharmacies in Canada. Please click the link below. Thank you in advance for your time. Nitrolingual is used to relieve chest pain or acute attacks of angina. It is available in pumpspray which is easy to use. 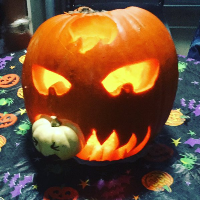 Spray it onto or under the tongue provides you with a dose of Nitroglycerin. 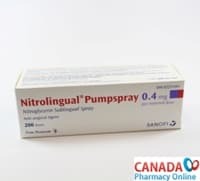 Canada Pharmacy Online offers brand Nitrolingual pumpspray 0.4mg 200 doses manufactured by Sanofi Aventis in Canada. 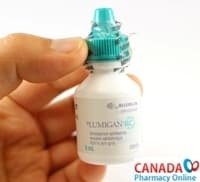 Lumigan (bimatoprost ophthalmic solution) is a prescription medication used for glaucoma or high eye pressure. It is an ophthalmic solution works by reducing the pressure in the eye by increasing the amount of fluid that drains from the eye. 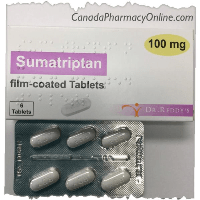 We would like to invite you to visit our Canadian Internet Pharmacy CanadaPharmacyOnline.com for the most reliable pain relief products on the market. 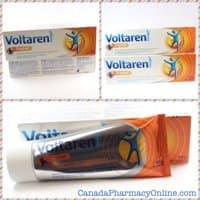 Voltaren (Diclofenac) is the branded medication manufactured from GSK (Joint Venture with Novartis) used as a pain reliever to treat pain, swelling (inflammation), and joint stiffness caused by arthritis. Cantharone contains an active ingredient called cantharidin used for the treatment of warts. 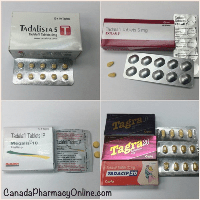 Tadalafil or generic Cialis 2.5 mg and 5 mg are daily use tablets comes from Canada manufactured by Mylan. 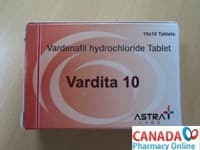 It is a clinically proven, low-dose tablets used for the treatment of erectile dysfunction (or impotence) and the frustrated urinary symptoms of benign prostatic hyperplasia (BPH). 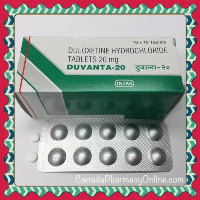 Duvanta is another generic version of Cymbalta (Duloxetine Hydrochloride, Duloxetine Hcl) manufactured by Intas Pharma in India. 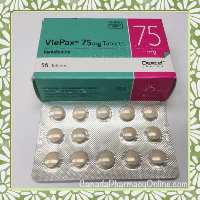 ViePax is a generic version of Effexor XR manufactured by Dexcel Pharma in the UK. We also sell the generic Venlift OD by Torrent Pharma and Xenalven XL by Cipla in India. 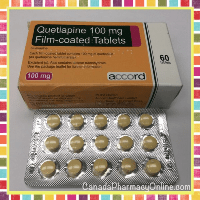 Quetiapine, brand name Seroquel is an atypical antipsychotic used for the treatment of schizophrenia, bipolar disorder, and along with an antidepressant to treat major depressive disorder. 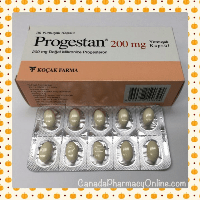 Generic Progesterone is a female hormone prescribed to women going through the transition of menopause. 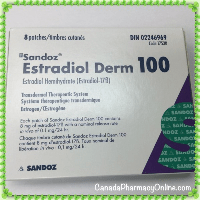 Estradiol Derm (also known as Estradiola 17B) is a generic version of Climara Patch manufactured by Sandoz in Canada. 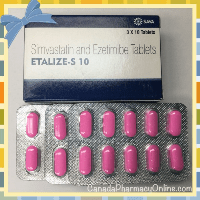 Estradiol is available in 50 mcg, 75 mcg, and 100 mcg; 8 patches per pack. On March 22 2012, the first version of Boniva (ibandronate), a nonce-monthly prescription has been approved to treat or prevent osteoporosis in women after menopause. Ibandronate belongs to the class of drug called bisphosphonates that help increase bone mass and reduce the chance of broken bones. 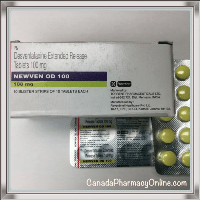 Pristiq (Desvenlafaxine Extended Release) is used an antidepressant drug used for the treatment of major depressive disorder (MDD). Dilantin (Phenytoi) is an anti-epileptic drug or an anticonvulsant drug used to control seizures. It is also used to prevent seizures after rain surgery. 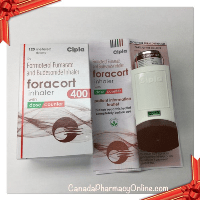 Foracort is a generic version of Symbicort Turbuhaler is used to prevent bronchospasm in people with asthma or COPD. Symbicort is a combination of two medicines Formoterol Fumarate and Budesonide. 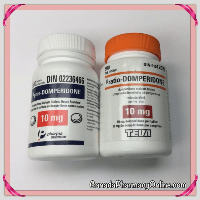 Domperidone (Motilium) is a prescription medication belongs to a group of medicines known as anti-emetics. It is used to relieve feelings of sickness (nausea) or being sick (vomiting) caused by other drugs for treating Parkinson's Disease. 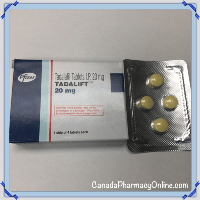 There is a new version of Tadalifil (Cialis) also called Tadalift available at our Canadian pharmacy online. Tadalift is manufactured in Pfizer in India. Azilect (Rasagiline, or Rasagilin) is a prescription medication used to treat symptoms of Parkinson’s, which causes tremors, muscle stiffness, changes in speech and gait. 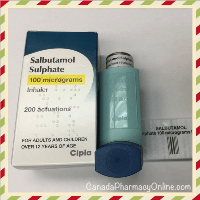 Salbutamol is sold under different brand name such as Albuterol, Proventil, or Ventolin. It is used to prevent and treat asthma and wheezing. Vytorin is a combination medication of Ezetimibe and Simvastatin used for the treatment of high cholesterol and triglyceride levels. 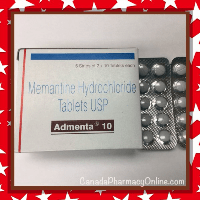 Memantine Hydrochloride, is the first novel drug used to fight Alzheimer’s disease. Memantine Hci is marketed under the brand name Namenda. Advicor is a combination prescription of extended-release niacin and lovastatin. It is an oral drug that is used to lowering cholesterol levels in the blood. It also helps prevent heart attacks and other heart problems. Alesse is used as oral contraception to prevent pregnancy. It is a combination medication containing two hormones: Ethinyl Estradiol and Levonorgestrel. Lots of surprises today for CanadaPharmacyOnline.com. 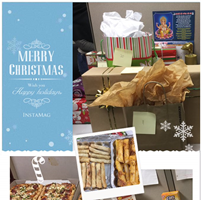 Everyone is promised with Santa's secret gift and delicious food waiting to be eaten. 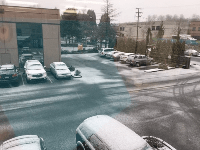 First snow of 2015 hits parts of Metro Vancouver today. What is Advair Inhaler Used to Treat? 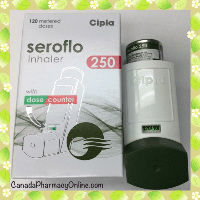 Seroflo is a generic version of Advair inhaler device (or called Advair HFA inhaler) used to treat asthma and other breathing conditions. It is an inhaled corticosteroid and long-acting bronchodilator combination. 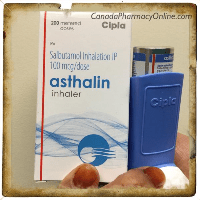 Asthalin inahler is also referred to as "reliever" inhaler or "Blue" inhaler. This is because it relieves symptoms of asthma and other breathing conditions. It is used only during the attack and is not used for prevention. The generic Salbutamol also called Asthalin inhaler comes from India and is manufactured by Cipla, available in the strength of 100mcg/200 dose inhaler. We may sometimes carry other generic Salbutamol from other countries. Itraconazole is an effective antifungal antibiotic used to treat a variety of fungal infections. 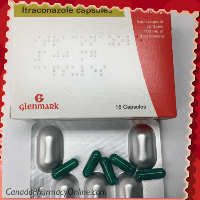 Itraconazole is manufactured by Glenmark from the UK, available in 100 mg capsule form. It may also come from different suppliers in the world. 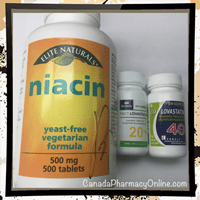 When you fun out of pills you should refill your prescription at certified Canadian Pharmacies. Migraine is an extraordinarily common disease that affects than 37 million Americans including men, women and children. Many people do not realize how serious and debilitating migraine can be. It not just a bad headache, it need to be diagnosed and treated. Need a self-help for chronic asthma and COPD? 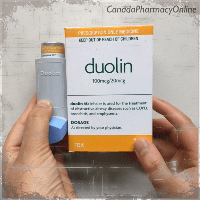 Duolin is a generic version of Combivent inhaler which made by Cipla in India. Ipratropium/Albuterol is available in two strengths: 20 mcg/50 mcg/200 dose abd 20 mcg/100 mcg/200 dose. Generic Combivent may also come from different manufactures around the world. Chronic Obstructive Pulmonary Disease, or COPD for short, is no joke!! 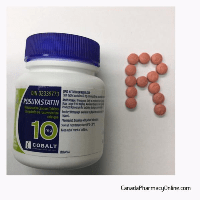 Through June of the year, the cholesterol-lowering drug Rosuvastatin was the most prescribed drug according to the research firm IMS. It has 21 million prescriptions in the US. Pouring rain on my way to work this morning. 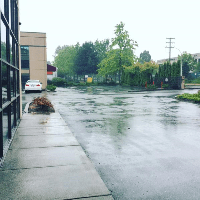 Heavy rainfall may increase the risk of flood in the coming few days in metro Vancouver area. 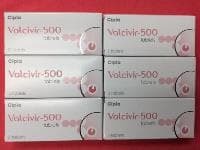 Valcivir, a generic version of Valtrex (valacyclovir) from India manufactured by Cipla used to treat infections caused by herpes viruses in adults and children. Generic Valtrex may also come from other manufacturers around the world, it's available in 500 mg and 1000 mg tablets.